Kingfisher Creek Provincial Park was established on April 18, 2001, to increase the ecological viability of the existing Kingfisher Creek Ecological Reserve. Located 15 km southeast of Sicamous. History: This protected area was established on April 18, 2001. Conservation: The area protects a remnant of the Shuswap Highland Ecosection including the biogeoclimatic zone variants ICHvk1, ESSFwc2 and AT-Ewcp. The park enhances the area’s ecological viability when combined with adjoining Kingfisher Ecological Reserve by adding lower elevation forest types into the Sicamous drainage. Combined, they form an environmental benchmark for subalpine parkland in an area transitional between dry and wet interior climates. They also form a unique large-scale Ministry of Forests research area that will serve as a control for logging in adjacent areas. Two small lakes and creeks in the area have geographically isolated fisheries. Two rare plants are found in the protected area; the blue listed Two Edged Water-Starwort and the red listed Hairy Rockcress. The area also provides important early/late winter caribou habitat. Wildlife: Caribou habitat, moose, mule deer, black and grizzly bear, marten, lynx and cougar are all known to be in this area. 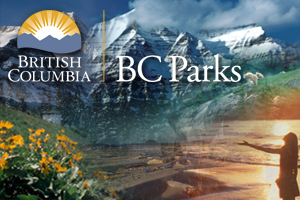 Approved Purpose Statement and Zoning Plan [PDF] for Kingfisher Creek Provincial Park is available online in pdf format. For your own safety and the preservation of the park, obey posted signs and keep to designated trails. Shortcutting trails destroys plant life and soil structure. There are no developed trails at this park. Horses and horseback riding is permitted. Snowmobiling: Operated by the Eagle Valley Snowmobile Club out of Sicamous, an lengthy groomed trail extends from the valley bottom to the Owlhead cabin, just inside the Park. From the cabin, well used routes pass outside the Park accessing alpine and sub-alpine riding areas. Refer to the Club’s website for more information http://www.sledsicamous.com/. User fees are in effect. Summer motorized access into the Park is NOT permitted.